With roughly 270 species proposed for listing under the Endangered Species Act, one thing is clear: America's system of protecting at-risk wildlife is not keeping up with our nation's economic growth. But EDF has a solution: the Habitat Exchange. This efficient, effective approach to wildlife conservation in America holds industry accountable for its environmental impacts when developing projects, and creates economic incentives for farmers and ranchers to conserve wildlife habitat. Based on sound science and economics, the Habitat Exchange creates a new market for effective species protection. Take Action: Tell the U.S. Fish & Wildlife Service to support the Habitat Exchange as an effective, common-sense solution to wildlife conservation. I am writing today to offer my support for the Habitat Exchange (http://www.thehabitatexchange.org) as a scientifically sound solution for species protection. 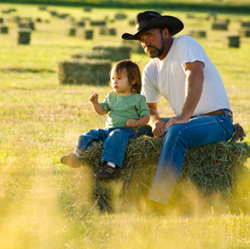 By connecting impacts from industry development with conservation actions of private landowners, the Habitat Exchange creates financial incentives for farmers and ranchers to conserve wildlife habitat on working lands. With more than 70 percent of habitat on private lands in the U.S., we need more tools like this that work with private landowners to achieve landscape-scale conservation and allow species and habitat to recover. I applaud the U.S. Fish & Wildlife Service's work to preserve and protect species. By adopting smart policies like the Habitat Exchange, the Service can help put at-risk species on a positive, sustainable trajectory, allowing our nation's wildlife to thrive. I ask that you approve the Habitat Exchange as a performance-driven species recovery system that uses robust science to achieve verifiable conservation results.